It’s hard to believe that we’ve had our little place in France for almost 2 months and slowly but surely it’s starting to feel more like a home. 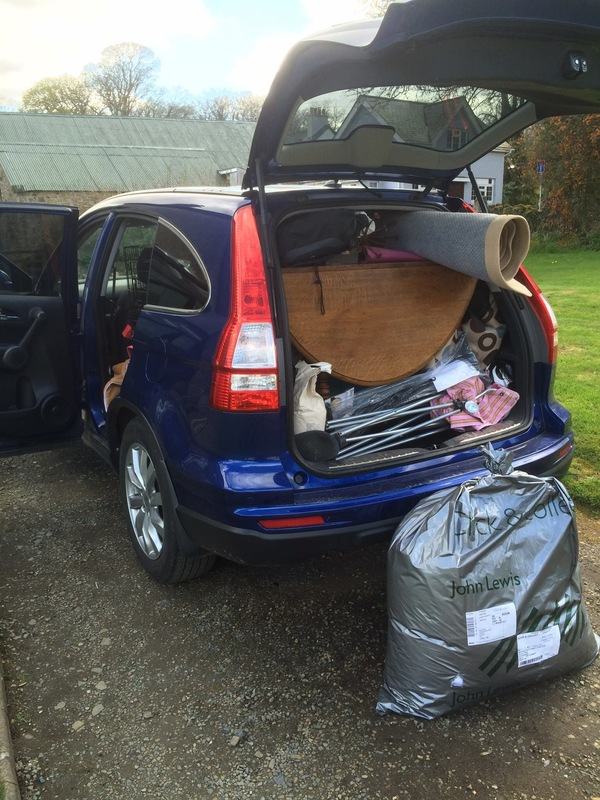 When we drove down we only brought the car with us so were very limited with what we were able to bring – not that we had much that would suit the house anyway. We did leave behind a lovely old chair & an old iron French cot, (they’ll come with us in the future) but somehow managed to cram in some rugs & an old oak gate-leg table, just to get us started. So for the first couple of weeks that was all I had, spending my time in the evenings sitting on a garden chair & sleeping on an air-bed. Hardly the lap of luxury! 2. It would be no fun! We don’t have a deep pot of money to spend on furniture & to be honest would rather invest the money we do have in some other improvements such as fitting a new woodburner. 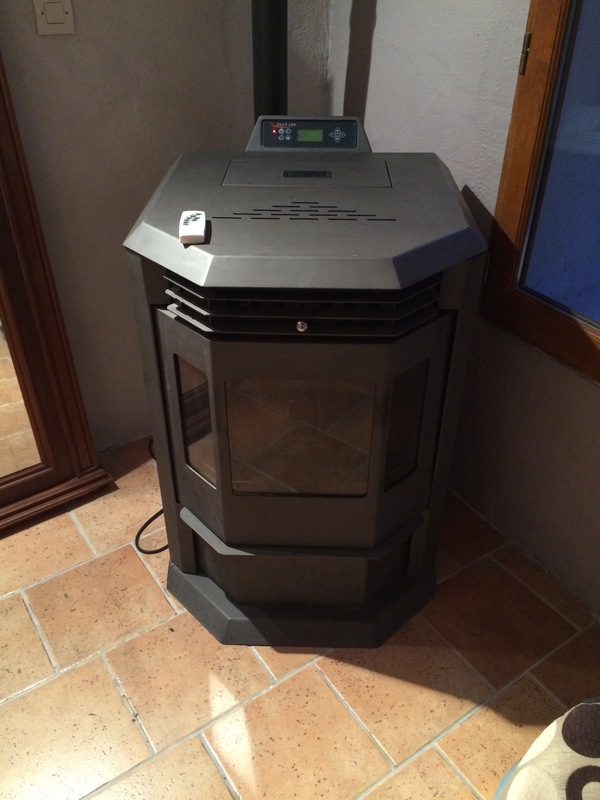 Not only will this help heat the house & make it cost in the winter, but it will also mean that we can get rid of the hideously industrial pellet boiler, which (when lit) growls angrily away to itself in the corner of the living room – not exactly the look we were aiming for! There were some bits we had to get, just for comfort’s sake & so bought sofas & beds, getting them delivered from the local IKEA, although the process wasn’t as smooth as we may have hoped for. The delivery van went to a village 12km up the road & I had to dash out in the car to find them so they could follow me back to the house, then they wouldn’t carry anything upstairs, leaving me & a neighbour to haul a King-size mattress up 3 flights of stairs (not the easiest of tasks by any stretch of the imagination). 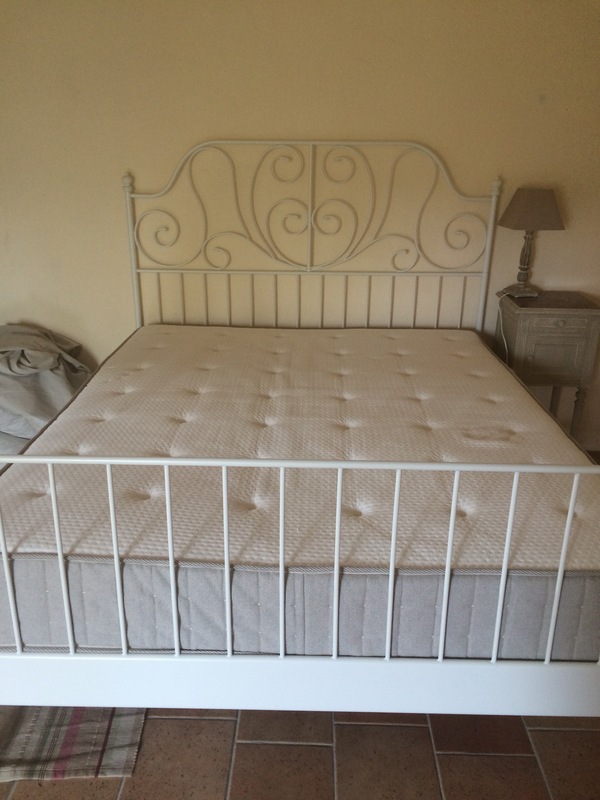 I’m sure anyone seeing Marie-Pierre & I trying to get the mattress upstairs woild have thought they were watching a female ‘Chuckle Brothers’ sketch! Having bought these basics we at least we can now start buying pieces to fit around them. 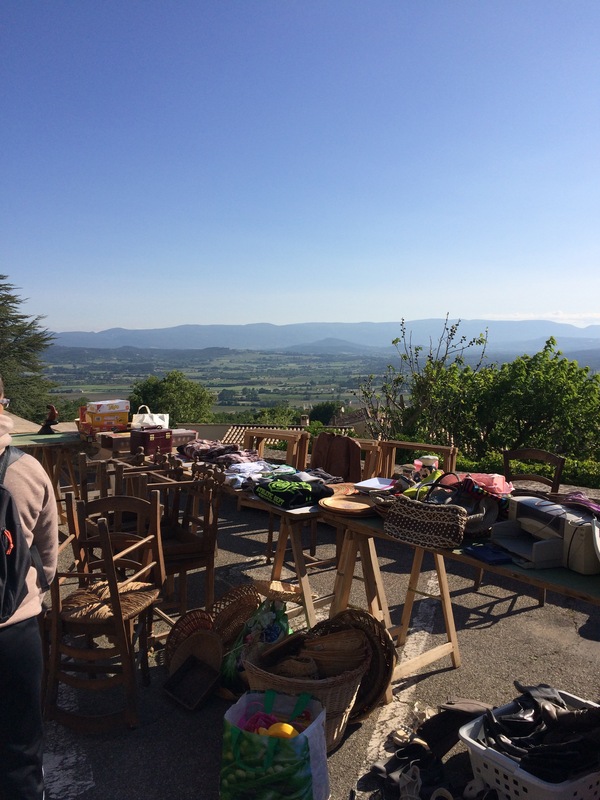 Happily we both love fuddling around Local Vide Grenier events & the regular Brocante markets that pop up in the villages around us almost every weekend, usually signalled by bright yellow posters attached to lamp-posts, bridges etc. Although the Aladin magazine has details of all events (listed in Departmental order) or the website https://vide-greniers.org/ is also a great source of information too. ……. and having to furnish the house from scratch has meant that we’ve had the perfect excuse to spend Sunday mornings trawling stalls for the perfect pieces and then spending the evenings doing any work that’s needed to make them fit in. 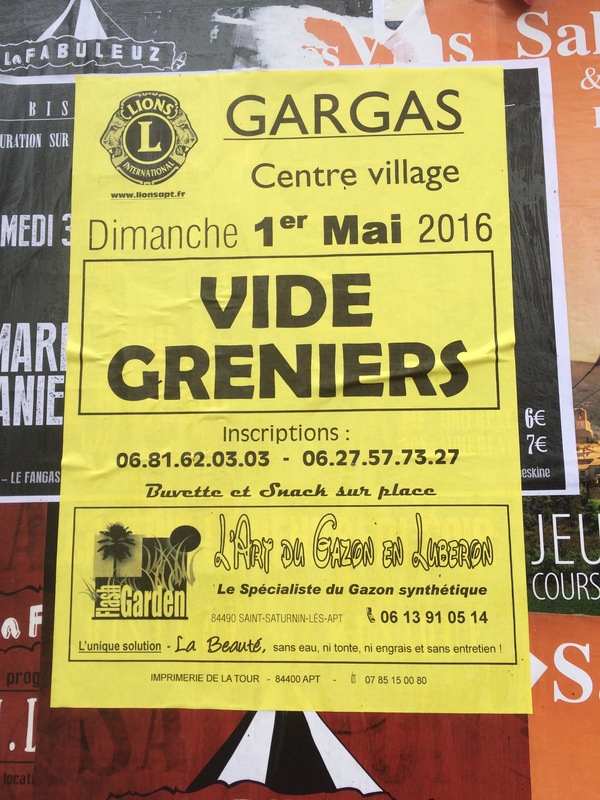 We already have some favourites, finding that the Vide Grenier events in villages seem to be better for us than the larger ones that take over car-parks in the larger towns. 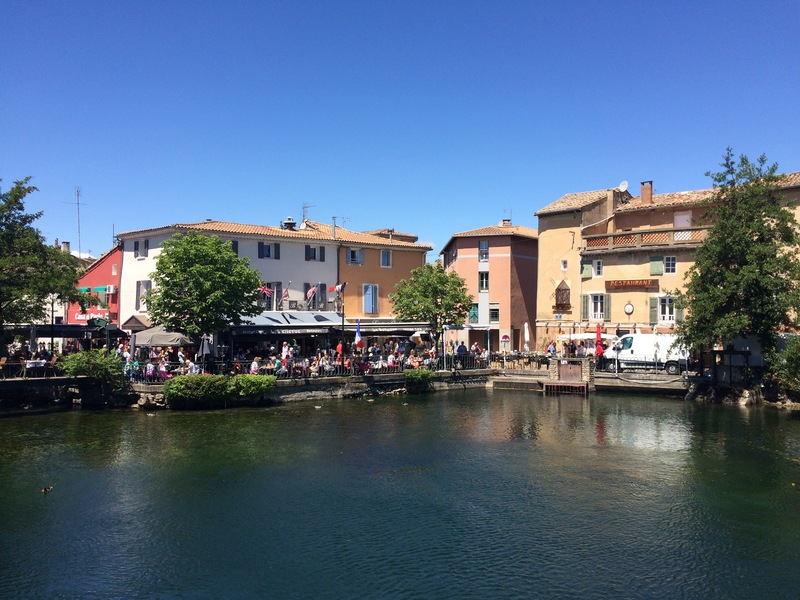 They are also just nice places to visit with a nice café, where we can sit & have breakfast or a great boulangerie, where we can buy a warm ‘Pain au Chocolat’ to munch as we amble around, hoping to find that perfect piece. Just the view from the vide-grenier at Lacoste was worth the trip! 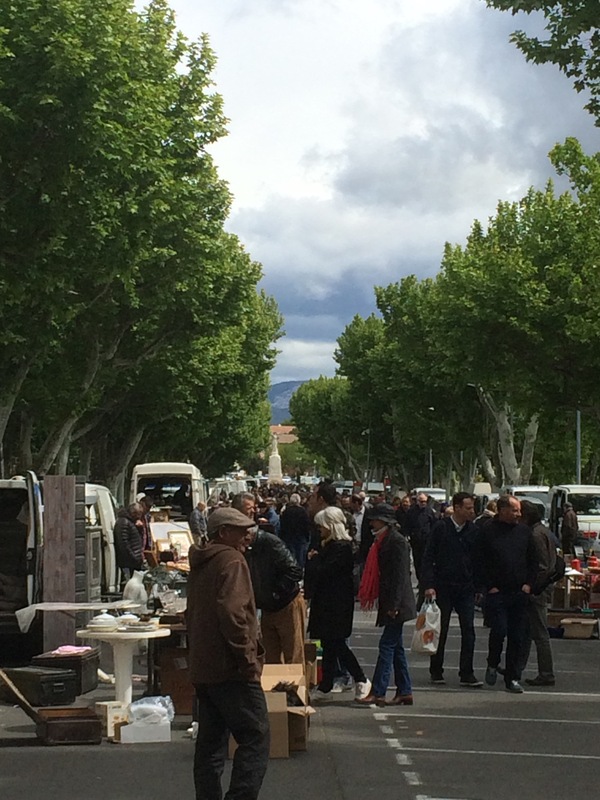 Brocante-wise there are often pop-up markets around us, but it’s certainly worth the drive to go to the large Sunday market at Carpentras or slightly further afield to Sommières for its great Saturday event – I now realise that there is no need to make an effort to go early as often sellers are still unloading at 10ish, their activities punctuated with a coffee or a glass of wine! There’s always a great range on offer & we’ve already found some lovely pieces there for the house, including this vast mirror for well under 100€. 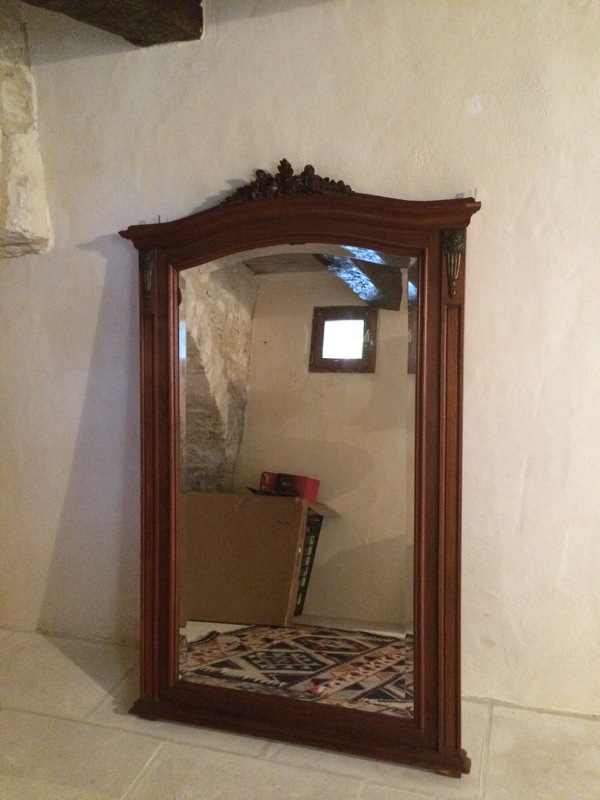 I love this mirror – just need to find a wall big enough to hang it on! 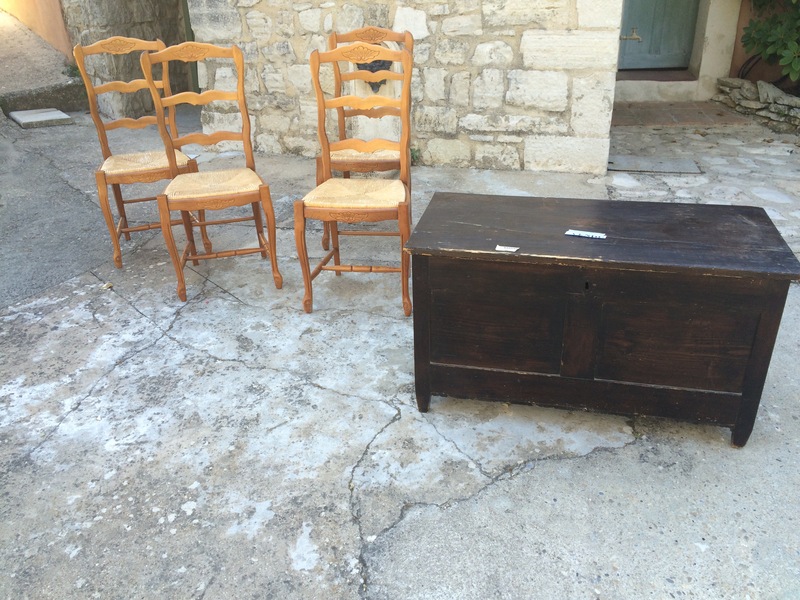 Of course for the ‘full-on’ day out it’s a quick hop from here across to L’Isle Sur La Sorgue, where the prices aren’t as good, but the antiques on offer are a delight to the eye & act as a great inspiration for things we may be able to do at home too! Needless to say we’re not buying top-end antiques & are simply trying to find practical pieces that are well priced, but will scrub up well with a coat of paint or some new fabric and really help us get the look we want in the house, without breaking the bank. 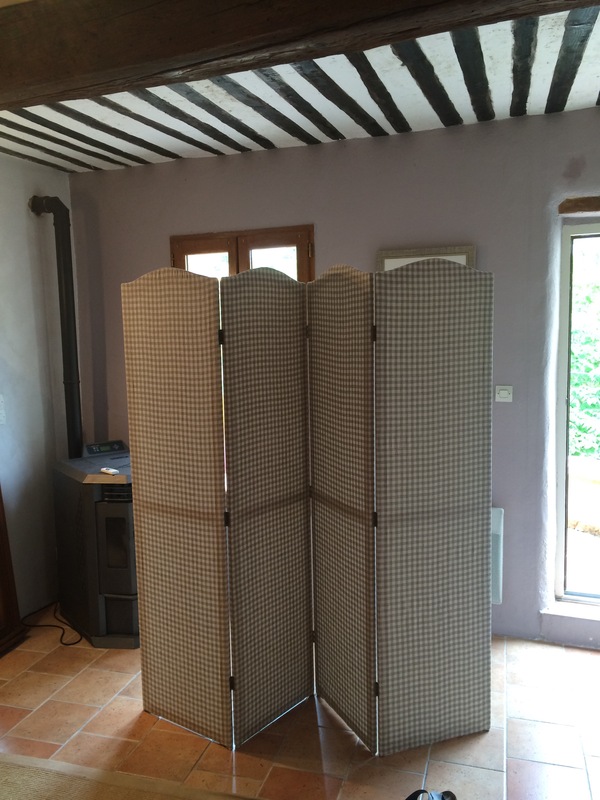 So far we’re doing well, having found bedside tables, cupboards & a folding screen to act as a room divider. 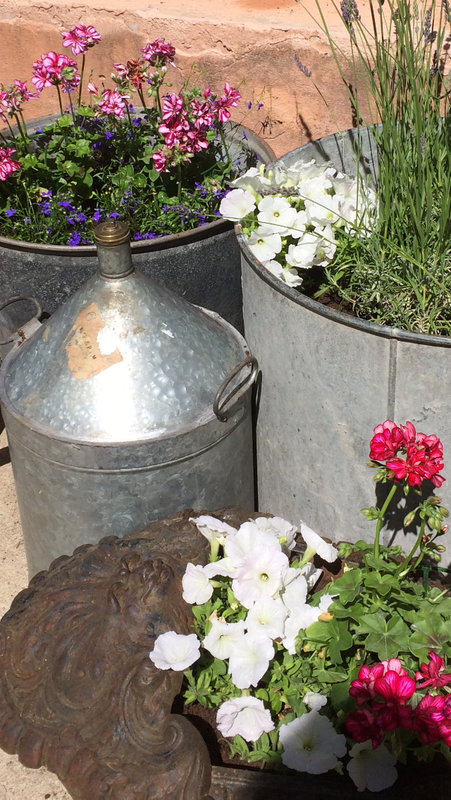 We’ve also started to find unusual containers to act as planters on the terrace, to give that a more homely feel rather than just the bare concrete pad that was there when we moved in. 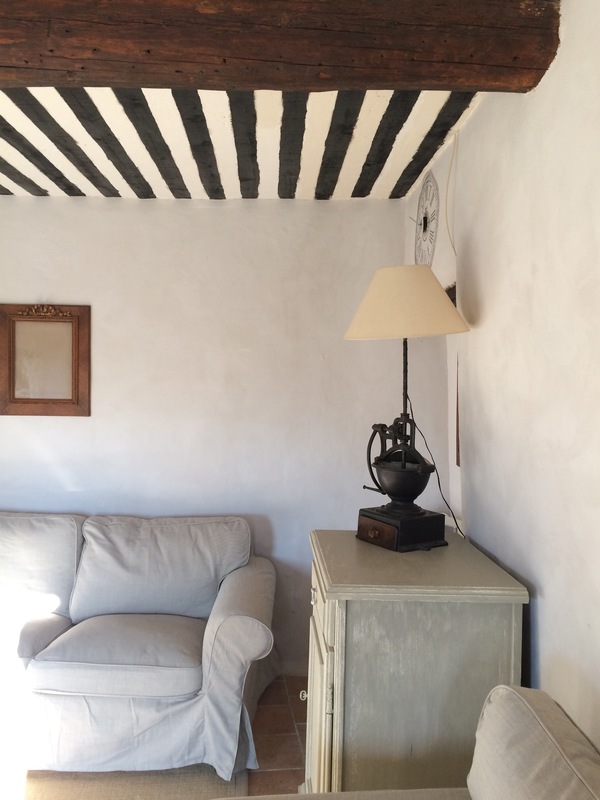 Happily I’ve also found a couple of good suppliers of chalk paints locally with Autentico paints at Coté Couleurs in La Brillanne near Forcalquier https://m.facebook.com/Cot%C3%A9-couleurs-1676830179240898/ and Annie Sloan paints available at the lovely Atelier de Couleurs in Menerbes http://atelierdecouleurs.com/ meaning there’s no excuse to not get on with things. All in all we’re happy with the bits we’ve managed to find so far, with the odd quirky piece like this coffee-mill lamp too & we’re well within budget, which is even better! So far we’ve managed to spend less than €350 on all the pieces of furniture we’ve bought from the fairs etc & even better have had great fun doing it – luckily we’ve still got a bit more to get so I’ll keep my eye out for more yellow signs & look forward to my next trip out! 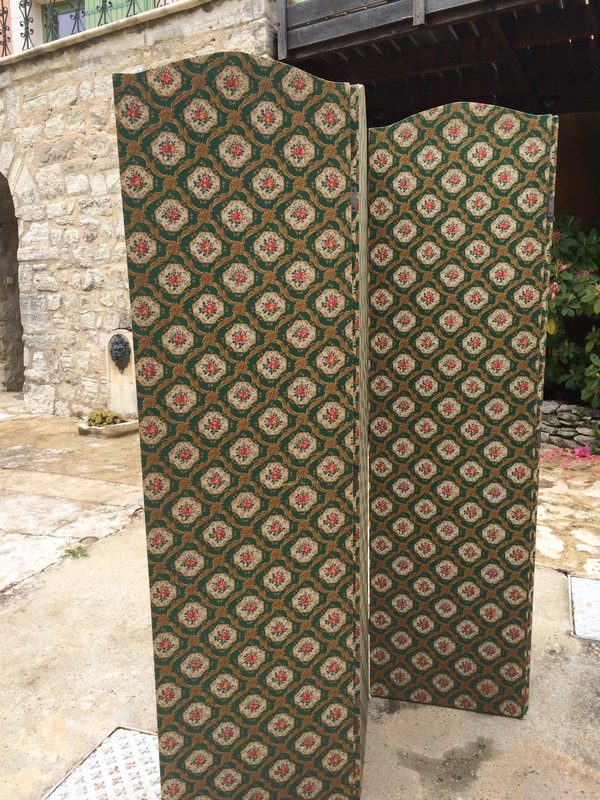 Next Post A 3 day taster trip to the Vaucluse – where do I start? You are so good at bargain finding. Perhaps that’s another string you could add to your bow?! And…have you found the ‘Cold Feet Studio’ blog yet? Awesome tips. 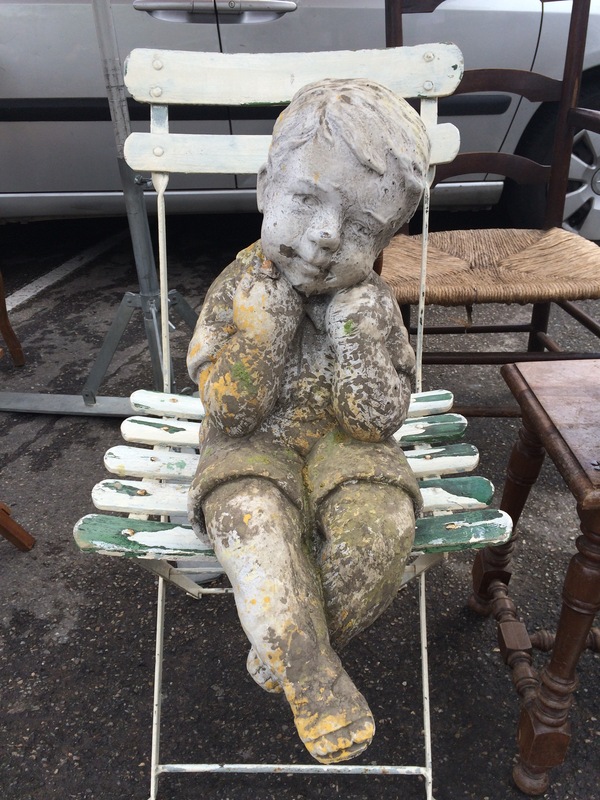 I am now getting rather addicted to finding a bargain & have already got a couple of places planned for this Sunday – I really liked the plaster boy too, quiet & deep in thought – so unlike what I get with my own two boys! I don’t think I’ve ever seen them so deep in thought or sitting still for long – they’re now 18 & 15 so I fear the moment has passed!